Before assembling everything, let’s give the NeoPixel strip a test run. If there’s a problem, it’s easier to request help or an exchange now than with an assembled project. If you’re not already using the Adafruit_NeoPixel library for Arduino, download and install this first. We have a guide for proper library installation. After installing the library and restarting the Arduino software, copy and paste the code below into a new Arduino sketch. DO NOT use the NeoPixel “strandtest” example for this test! It lights all the LEDs at once — more power than USB can handle. The code below is designed to light only a few LEDs at a time, so we can use the Arduino’s 5V or VIN pins. If you have an Arduino Uno (or similar) around, use that for NeoPixel testing. 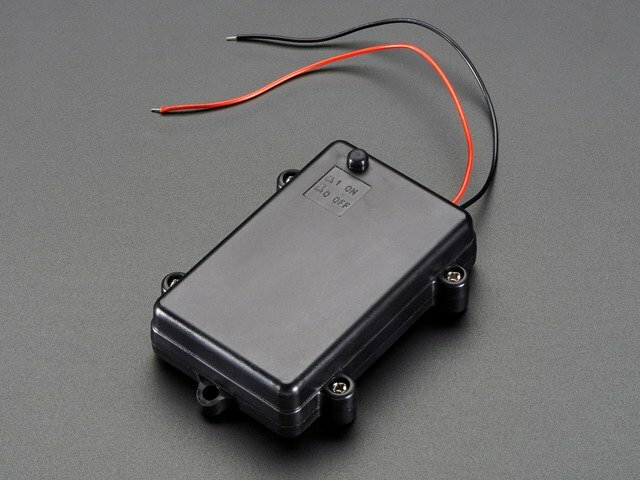 Not mandatory, but the headers make for easy jumper wire connections. // direction arrows printed on the strip. 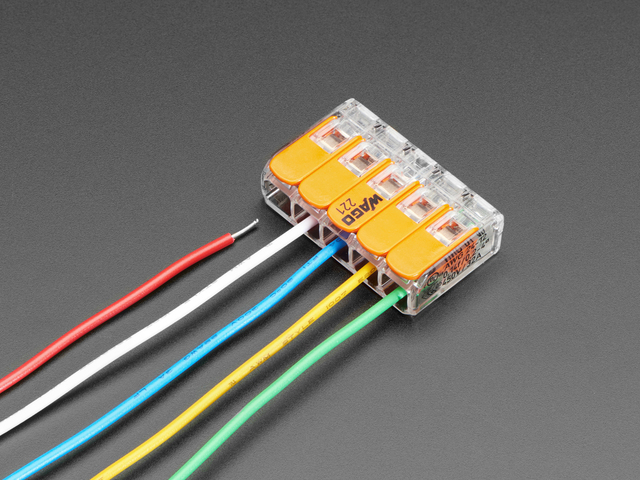 GND from Arduino to GND or – on strip, usually a black wire (always connect GND first). VIN from Arduino to +5V or + on strip (usually a red wire). Pin 6 from Arduino to DIN (or unmarked input) on strip (usually a white wire). As mentioned before, testing is easiest with an Arduino Uno with its row headers. If you only have the Arduino Micro that you got for this project, that’s okay…you can make connections using a combination of jumper wires and alligator clips (but be super extra careful that they connect the to right points and have a firm grip…losing the ground connection even for a moment can ruin the first pixel…so don’t move parts around while testing). Or you can temporarily solder wires to the board (best if you have some experience with desoldering — it’s easy to damage things if done wrong). Lay the strip out flat so you can see the entire thing, then re-connect the USB cable. After a few seconds, you should see a few LEDs chasing down the length of the strip, cycling between red, green and blue. Watch carefully, noting any skipped or off-color pixels. Make sure the extra wires at either end of the strip are not touching each other or anything conductive. 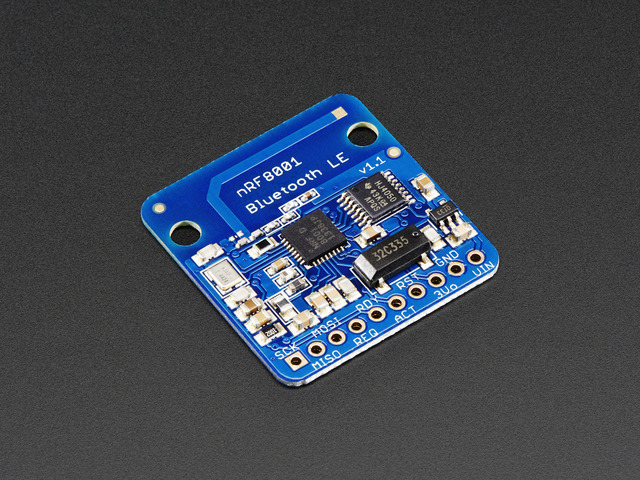 If using an Arduino Leonardo or Mini, it takes about 10 seconds when USB is connected before the sketch actually runs. Be patient. If you soldered any connections, make sure there’s no cold joints or solder bridges between adjacent pads. 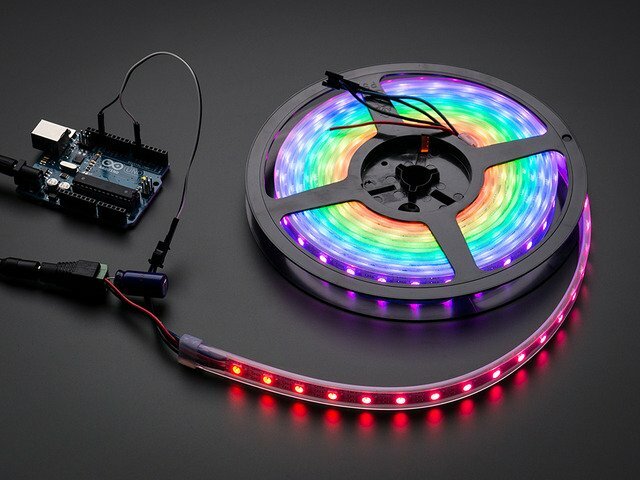 Do not proceed until you have a fully tested and working NeoPixel strip. This guide was first published on May 01, 2014. It was last updated on May 01, 2014. This page (Test the NeoPixel Strip) was last updated on Apr 19, 2019.